Owning Marshall Groups TDClassic gives you the uniqueness of British sports car styling with the best of the worlds motoring advances. With Toyota Rav 4 drivetrain, modern safety, and race inspired suspension, steering , and brakes combine to make the TD Classic the most attractive and rewarding sports car to drive on the market today. This means you get a factory new motorcar that far surpasses all US Federal Safety and Emissions standards for 2011 and beyond. On top of already having distribution networks established in Australia, Brunei, Egypt, Japan, New Zealand, Malaysia, Philippines, SingaporeÜnited Kingdom & Ireland , the TD Classic goes far beyond what most production car chassis design and strength requires. This is not a kit car, it meets all country requirements. The initial prototype was unveiled after crash and durability testing in California., back in 1986. Since then The University of Tennessee School of Engineering has contracted with Marshall to see the current prototype / production TD meets all Federal EPA requirements through 2015. Independent test engineers have been astounded by the lack of modifications to comply with current safety and durability needs. Not only is the car safe, it’s also an economical car to own. 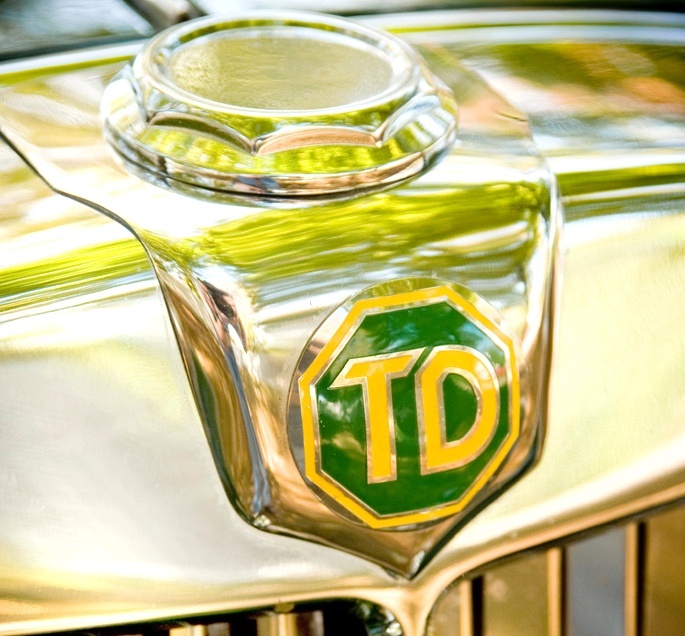 Our TD Classic is packaged with a Toyota 2-liter DOHC fuel injected 16 valve engine and Ford V8 rear axle, giving the car bullet proof reliability and upwards of 40mpg on the highway. The Toyota 5-speed manual gearbox and racing engineered suspension, rack and pinion steering and four wheel vented disc brakes provide plenty of joy and performance. The required OBD2 vehicle monitoring system is also included. The car is built on a high tensile strength steel box frame with two integrated chassis mounted roll bar’s , performance tires, retractable seat belts and airbags. This is all done without sacrificing the feel, look, or heritage of the original car. Even when it comes down to the nuts and bolts of the TD Classic, most mechanical components are “off the shelf” items that are available from major parts suppliers and agents. Warranty is 24 months or 24,000 miles, from date of delivery, after sales service is arranged through your local friendly Toyota Dealer. No specialized servicing is required. What more could one want out of a car that looks and drives this good? How about a slew of modern standard features like: fully retractable top, chrome wire wheels, side curtains, half-tonneau cover, Burl Wood dashboard, CD stereo system, driver and passenger airbags (with option switch for passenger), Toyota 2-liter 130hp DOHC engine, and manual transmission. We also provide many custom options for today’s enthusiasts that will allow you to order the TD of your dreams. All these features and options combined with performance and reliability make the car a keeper for future generations to admire. The TD Classic. . . The best of the old . . . The best of the new! Call (865) 300-7066 for more information!